Restore Counseling Center has licensed counselors, LPC’s, LPC-Interns and practicum students that each has their own area of expertise. All of our counselors follow our faith-based therapeutic process. LPC’s are licensed counselors by the state of Texas. They have a Master’s degree and passed the National Counselors Exam (NCE). LPC Interns have a Master’s degree, passed the NCE and has a temporary license until they have completed the 3000 hours required by the state of Texas to become licensed. Practicum students are working on their Master’s degree at an accredited college and are accumulating hours and experience to complete their master’s program. LPC Interns and practicum students are supervised by a licensed supervisor and consults with an LPC or LPC-S on site. Please take a moment to read about our counselors, whichever one you choose, you will be in good hands. Lisa Jones, LPC, Founder of Restore Counseling Center. Lisa K Jones is a Licensed Professional Counselor and an Advanced Life Coach. She graduated from Southwestern Baptist Theological Seminary in December 2005 with a Master’s in Marriage and Family Counseling. She has a Bachelor’s in Psychology from the University of Texas in Arlington, Texas. She has various certifications: Stress Management, Grief and Trauma, and Attachment. Lisa attended First Baptist Church in Euless for 11 years. 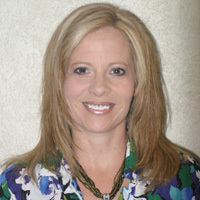 She has been on staff as well as a pastor’s wife in a local apartment ministry where she practiced pastoral counseling for 9 years; she has worked closely with the youth pastor assisting in youth camp and areas of need with the youth; she has provided training to small groups within the adult department in stress management and marital issues. She now attends Gateway Church in Southlake with her family. She married her husband in 1990 and has 2 children, 24 and 19 years old. She has experience in working with teens, women, couples and families regarding life issues. She has a passion in helping teens understand who they are and helping them learn coping skills for life; empowering women to be all they can be as a mom, wife and friend; helping couples have a great marriage built on a solid foundation and restoring the family by helping them understand their role in the family. She has extensive experience working with grieving families following a loss of a loved one. She has been a contract counselor for the WARM Place and has volunteered facilitating the young adult group for 7 years. Lisa has worked in a day hospital setting working with patients with Eating Disorders. She worked with a treatment team which consisted of Psychiatrists, a medical Doctor, a Registered Dietitian, and other therapists. She has several hours of Continuing Education training in this area. Lisa is an Advanced Life Coach and DMA certified as a Stress Management Consultant and is certified in Stress and Trauma through Light University. She does speaking engagements on different topics upon request in the church settling as well as the business setting. Professionally, she is a member of the American Association of Christian Counselors, North Texas Mental Health Professionals and NEDA (National Eating Disorders Association). In-network with Aetna, BCBS, and Cigna.